If you’re expecting Christmas in Andalucia to be somewhat like it is back home, you’re in for a surprise. Everything from the beginning to the end of the season is going to be different from anything you’ve ever experienced before. 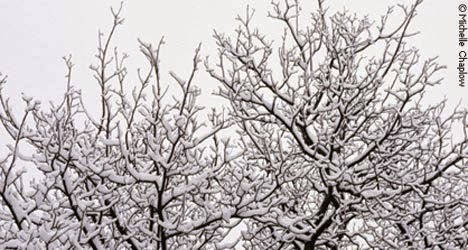 The Christmas season here starts much later than those from northern Europe and North America might expect. The smell of chestnuts roasting over fires tended by street vendors will begin to waft past you as of November, and that will continue until the Three Kings make their visit to local homes in January. However, the season doesn’t really kick off until Christmas Eve. 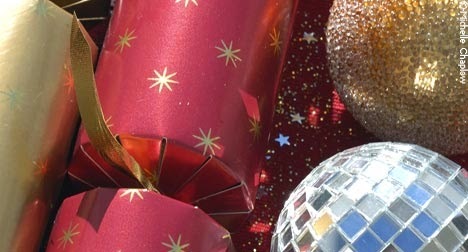 Small shops and large commercial centres will begin to deck themselves out in Christmas gear at the beginning of December, but this is deceiving. With so many local families still waiting to exchange gifts until the Three Kings arrive on January 6th, there’s no hurry to buy. In Andalucia, as in the rest of Spain, there is a bit of a debate regarding how deeply foreign Christmas customs should be allowed to take root. This debate mainly centres on who should be allowed to bring the gifts: Father Christmas or the Three Kings? Traditionalists have it clear that the Kings should maintain their post and that Santa Claus had better watch where he treads. This however, does not stop millions of families from allowing “Papá Noel” to sneak past the sentinels. A lesser discussed issue is the competition between the Christmas tree and the nativity scene, called a “Belén” (Bethlehem) in Spanish. You can be sure that in most homes here the manger scene will feature more prominently and be treated with greater tender loving care than the tree will ever hope to see. The nativity is often a surprisingly large collection of pieces that have been lovingly gathered over the years. 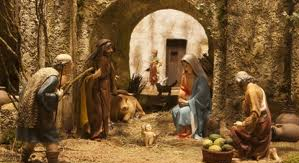 At Christmas time, these scenes are brought out at homes, schools and workplaces across the region of Andalucia and assembled with great excitement and care. It is not uncommon for families, staff at companies and especially teachers and students to actually build a structure of some kind in order to then set up the entire town of Bethlehem, with Mary, Joseph and baby Jesus tucked into their manger scene somewhere amongst the vast, sprawling scenery. From the 1st of December the Christmas decorations appear. Traditional Christmas fare in Andalucia will vary from home to home, but it is the rare house that will be without an entire leg of cured ham – jamón. The humblest homes might splurge on a Serrano ham while those with more spending power will very likely opt for a leg of “pata negra”, which some believe to be the very best cured ham on the planet. These hams are served in thin slices as appetisers and also used to add a special flourish to soups, for example. Special family dinners throughout the season generally begin with a selection of smoked salmon, pates, cured meats and special cheeses. The main course could consist of roast lamb or turkey. Seafood is also high on the list with platter after platter of cold boiled prawns served with homemade mayonnaise and cocktail sauce. These could easily be followed by slices of prime rib for a good protein overdose. Another essential is found in the sweets and pastries that load the shop shelves at Christmas. Turrones, made of Almonds and honey, are brought in from the region of Valencia, along with marzipan tarts, powdery “polverones” (dust balls) and other pastries from across the region and beyond, many backed by the names of convents that have gained prestige thanks to their famous recipes. It is quite common for shops, banks and other businesses to put out a plate of these sweets along with bottles of anis for clients to enjoy. If you’d like to try your hand at making a Spanish Christmas pastry, why not try to make Roscos? They’re relatively easy to make and you’ll find an authentic recipe.Not to be missed is the special “Three Kings’ Cake”, called a “Roscón de Reyes”, which is made of a sweet bread dough, topped with candied fruits and sugar and often filled with whipping cream or custard. Most important is the surprise that is baked inside for the children. According to some traditions, the one who gets the treat has to pay for the cake, while others believe that the lucky one then gets to wear the paper crown that comes with this special pastry. Finally, like everywhere in the world, Christmas is a time of giving and there are many wonderful local charities that appreciate the extra bit of help they generally get at Christmas. Some even need volunteers to help make the season festive for those they serve. It’s actually a wonderful way to make a difference and have a chance to mix with locals as you celebrate the season!